Ford Teen Driving skills…hands-on learning! The number one killer of teenagers in the United States continues to be vehicle crashes. The Ford Motor Company Fund and Texas Ford Dealers are bringing back the FREE teen safe driving program that helps combat these issues. Ford Driving Skills for Life is an advanced, behind the wheel course that offers real world driving skills aimed at saving lives. 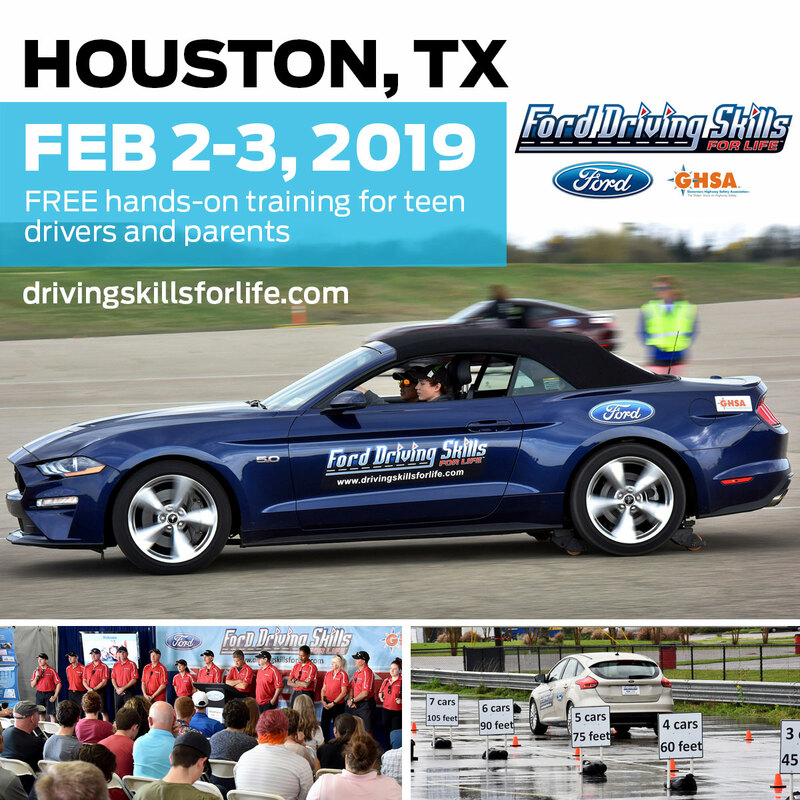 Parents of newly-licensed teen drivers are encouraged to sign up for Driving Skills for Life February 2-3, 2019 at NRG Stadium. This is an interactive, hands-on advanced driving skills course for drivers 16-22 years old who have a license or permit, and their parents (parents are encouraged but not required to attend). Spaces are filling fast but there are still registrations available on both February 2 and 3 – but they’re required to register here. Over the past 15 years, Driving Skills for Life has gained national recognition as one of the leading programs in helping to keep teen drivers safe for their entire driving career. Driving Skills for Life is open to teens with a valid permit or driver’s license.